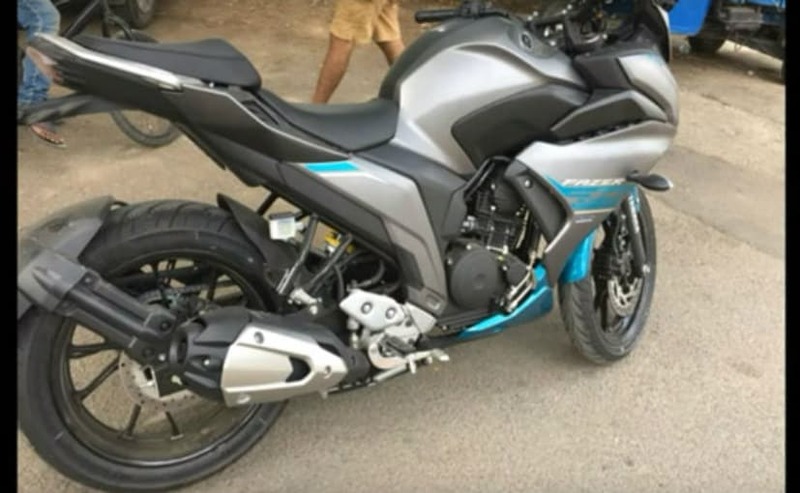 India Yamaha is getting ready to launch the new Yamaha Fazer 250, as spy shots of the production-ready Fazer 250 seem to be cropping up every other day now. We have already seen the Fazer 250 in a bright red shade a few days ago. 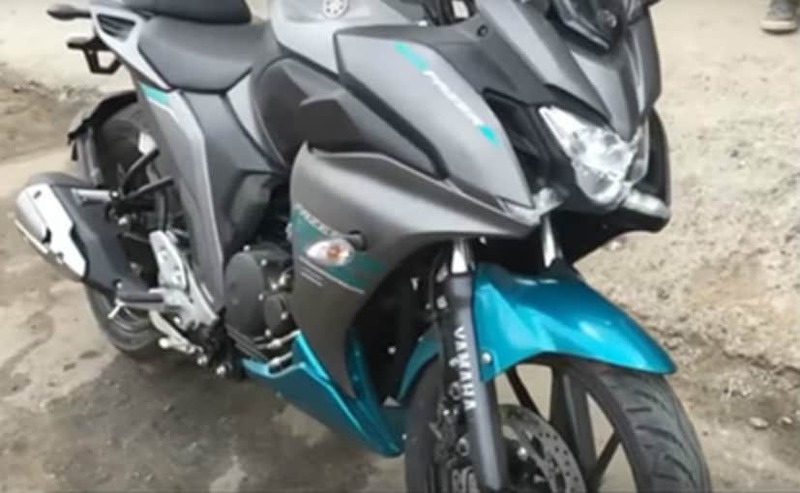 Now, the latest picture shows the upcoming Yamaha Fazer 250 in a new colour - blue, quite similar to the same shade on the Yamaha FZ25. The Fazer 250 is a full-faired version of Yamaha's quarter-litre naked street, the Yamaha FZ25. Overall, the bike looks the same, but the Fazer 250 has more mass up front, thanks to the addition of the fairing and a windscreen. The bike in a dual-tone shade of blue and grey, but the front fender gets the blue shade on the Fazer 250, unlike the FZ25 which comes with black fenders. To keep costs competitive, Yamaha has not fiddled with the look of the Fazer 250 too much, apart from the new fairing and windscreen. So, there are no dual headlamps, and the Fazer 250 shares many components with its naked sibling the FZ25. The instrument panel is the same unit too, as is tail light, and cycle parts, including the suspension, wheels and braking system. The engine is the same single-cylinder 249 cc, air-cooled, fuel-injected unit that makes 20 bhp at 8,000 rpm and 20 Nm at 6,000 rpm. The FZ25's engine is a refined engine, not blistering fast, but with adequate low-end grunt for everyday city use and decent highway manners for the occasional long distance ride. The Yamaha Fazer 250 will be slightly more expensive than the Yamaha FZ25, and will be slightly heavier than the FZ25's 148 kg kerb weight. Expect Yamaha to price the new Fazer 250 just under ₹ 1.3 lakh (ex-showroom Delhi).